Herbs are nature’s force! Each herb contains energizing elements that form the building blocks of our body. 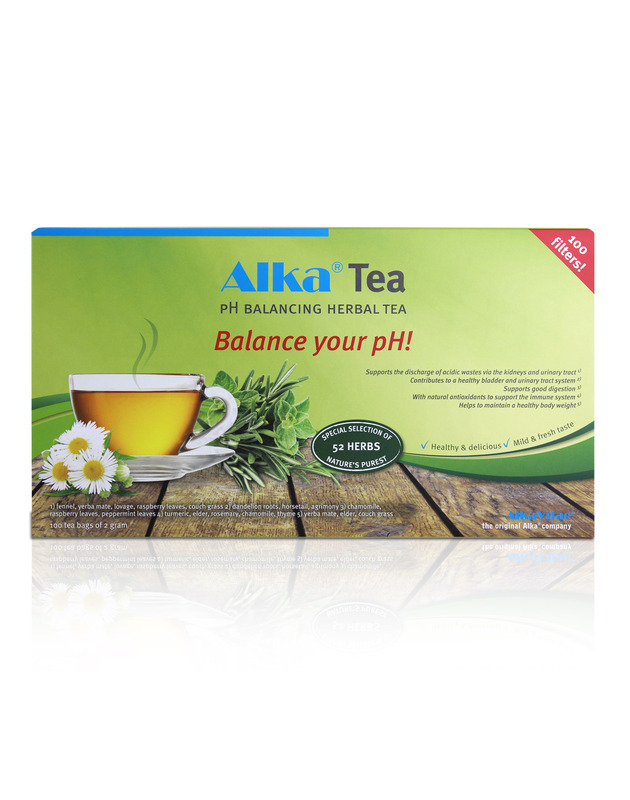 With a selection of no less than 52 herbal species Alka ® Tea contains the whole spectrum of elements that ensure optimum de-acidification of the body. Since ancient times, man is engaged in cleansing or de-acidification of the body by drinking herbal tea. In that way acid wastes were removed from the body. 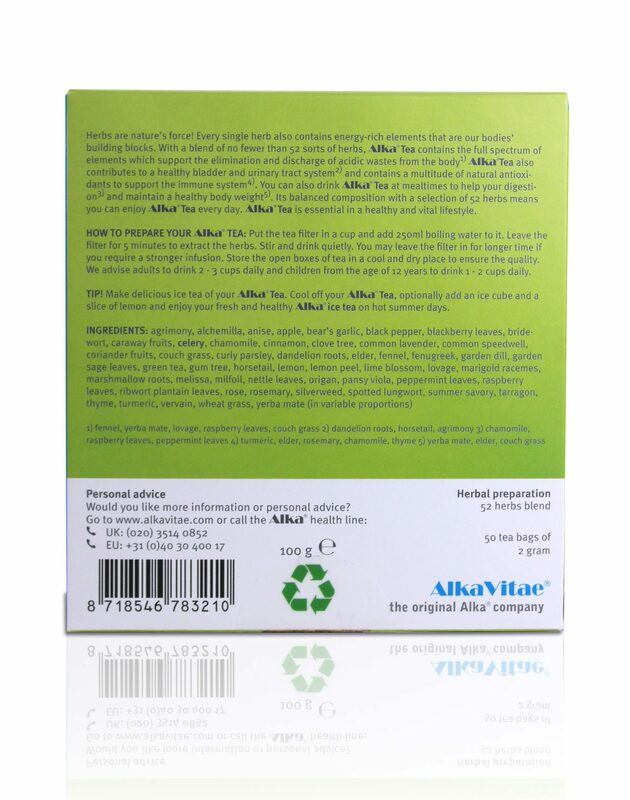 Alka ® Tea is tailored just for you with not less than 52 different kinds of herbs to cleanse your body. By daily de-acidification with Alka ® Drops and Alka® Tabs many acidic waste products are dissolved and released in the body. Drinking Alka ® Tea actively stimulates the discharge of this acid waste. Furthermore Alka ® Tea also very tasty. You combine active body cleansing with drinking a delicious fresh mild spicy tea. Alka® Tea enhances the body’s circulation. It ensures the drainage of excess body fluids and improves metabolism. It also supports the cleansing of the bladder, the liver and the kidneys. 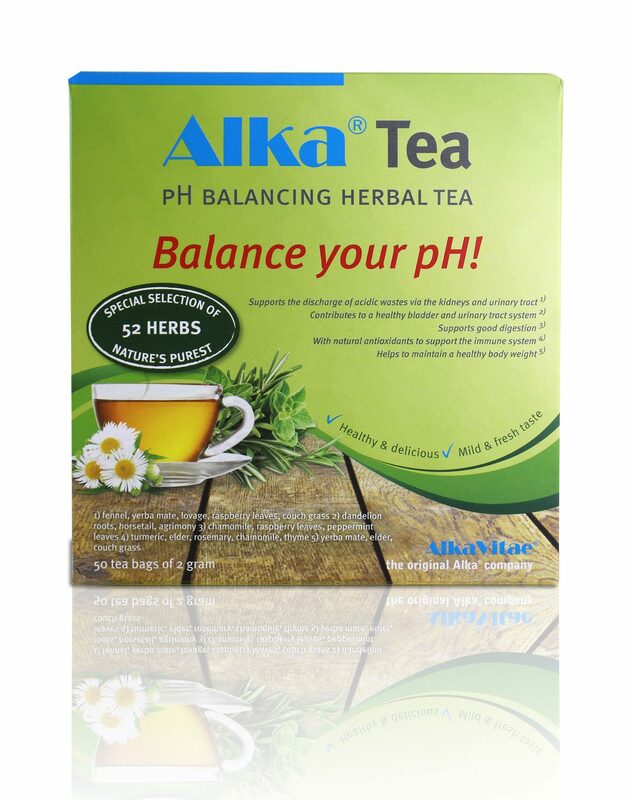 Because of the balanced variation in our 52 selected herbal mix you can drink Alka® Tea on a daily basis. Drink Alka® Tea also with your meals for optimal digestion. 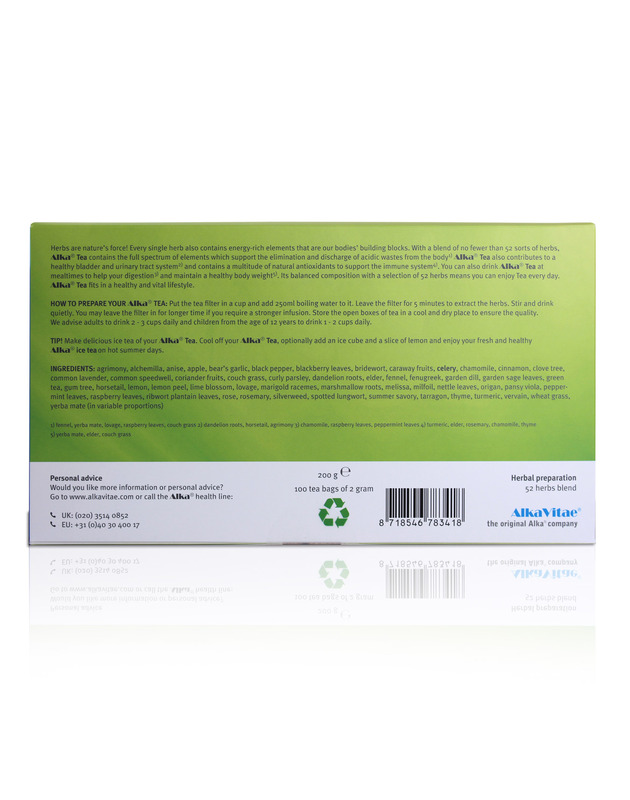 Alka® Tea is essential in a healthy and vital lifestyle. Put the tea filter in a cup and add 250ml boiling water to it. Leave the filter for 5 minutes to extract the herbs. Stir and drink quietly. You may leave the filter in for longer time if you require a stronger infusion. Store the open boxes of tea in a cool and dry place to ensure the quality. If you find it difficult to drink 5 glasses of water with Alka® Drops on a daily basis, you can also add Alka® Drops to a cup of Alka® Tea. For example, replace 2 cups water with 2 cups of Alka® Tea with 4 drops. Drink it on an as empty possible stomach, so some time before meals, or between meals. Make delicious ice tea of your Alka® Tea. Cool off your Alka® Tea, optionally add an ice cube and a slice of lemon and enjoy your fresh and healthy Alka® ice tea on hot summer days.